You might be thinking people avoid camping in winter. But that isn't true. The summer camping crowds are hibernating in their homes making campgrounds more peaceful and they'll find that the cold season is actually quite stunning. Trees have shed their leaves and rivers and lakes may be frozen. Winter offers a different landscape and even when it snows, winter is a beautiful season that can be enjoyed outdoors. People do love camping in the snow. But that's because they are prepared with the right equipment. 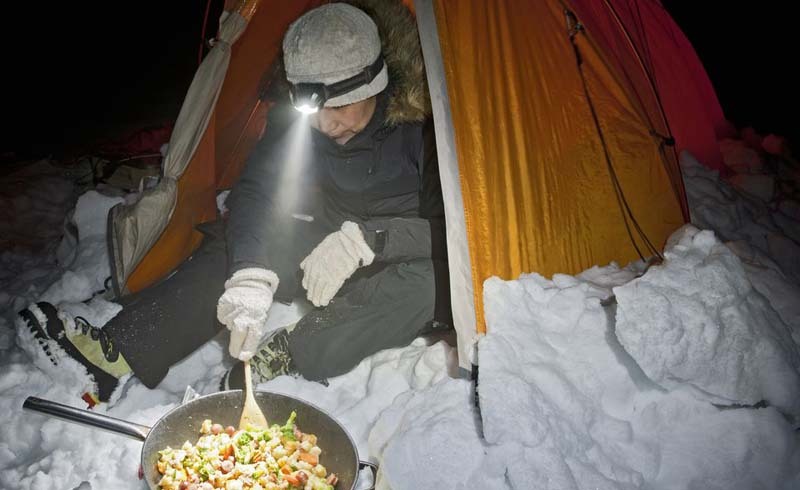 The key to a successful winter camping trip is having the right gear and becoming an informed winter camper. 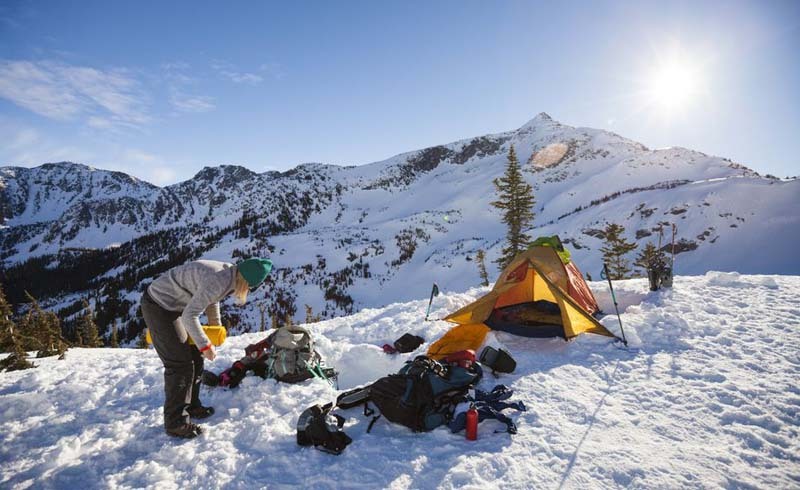 Whether you are snowshoeing into the backcountry or car camping in cold weather, the right equipment will make winter camping enjoyable. 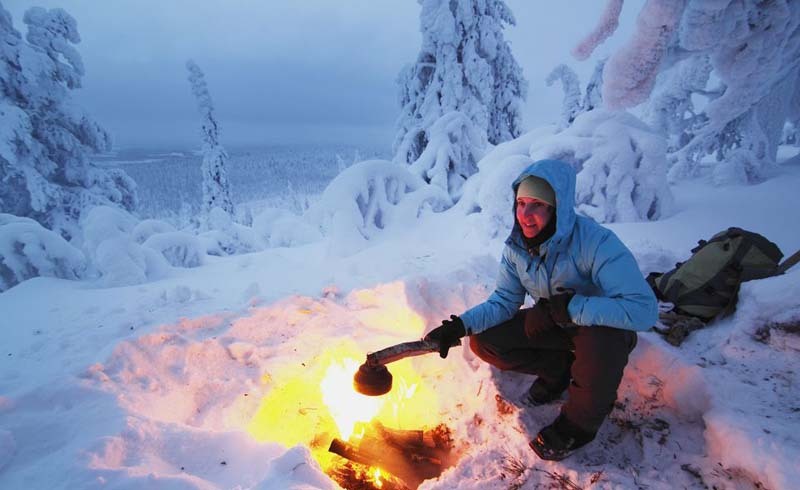 These tips will help you prepare for a winter camping experience. When selecting a camping destination for your winter trip, consider your limitations and expectations. Do you enjoy the cold weather? Do you like sleeping in the snow? If you are not anticipating enjoying extreme weather conditions, consider looking at more moderate climates. Washington and Oregon might be good alternatives. While winter weather varies, it usually is more wet than frozen at lower elevations. You'll get the same freedom from crowded campgrounds yet less extreme weather. Before you head out on your winter camping trip, check the weather forecast for your planned destination. Be sure to know the expected high and low temperatures and if any storms are expected. Always be prepared for a change in the weather—winter storms are often unexpected. Wool socks, warm boots, thermal underwear, and a warm jacket are essential and don’t forget to bring gloves. Dressing in layers will help you regulate your body temperature and can make a big difference in extremely cold temperatures. Dressing for cold weather and maintaining your body heat is imperative and, with good planning, can be accomplished. 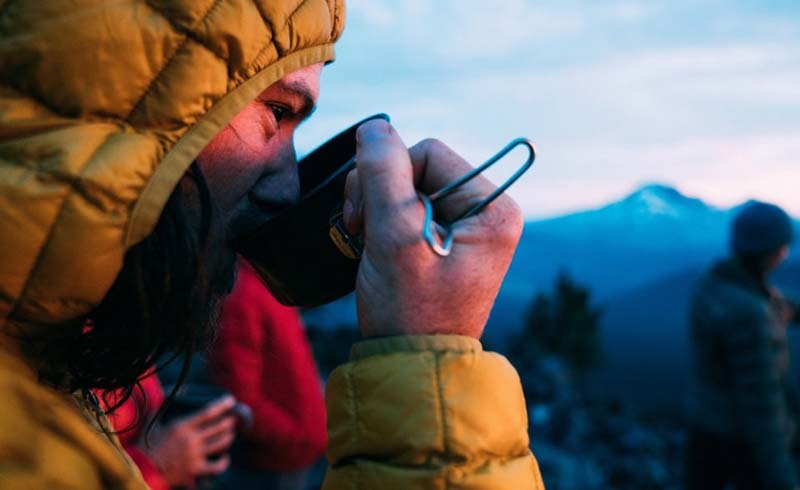 Pack clothing according to the climate you are camping in; down garments are great in dry climates, but down is not always the best option in wet climates. 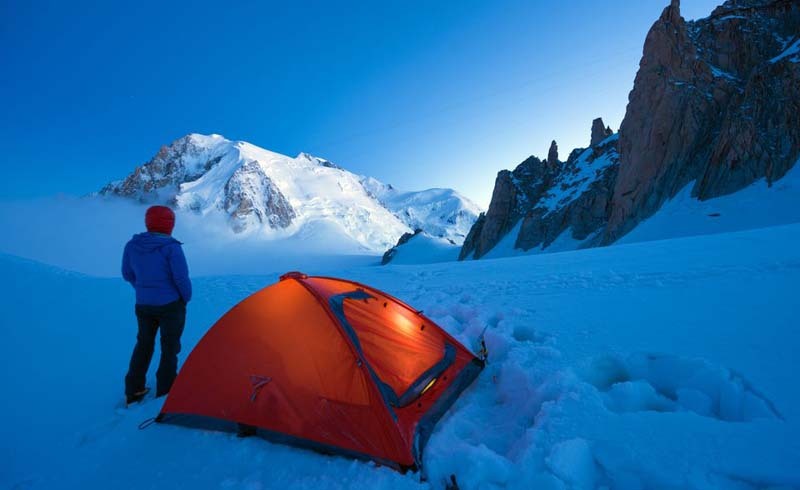 To be comfortable while winter camping, the right camping equipment is important. 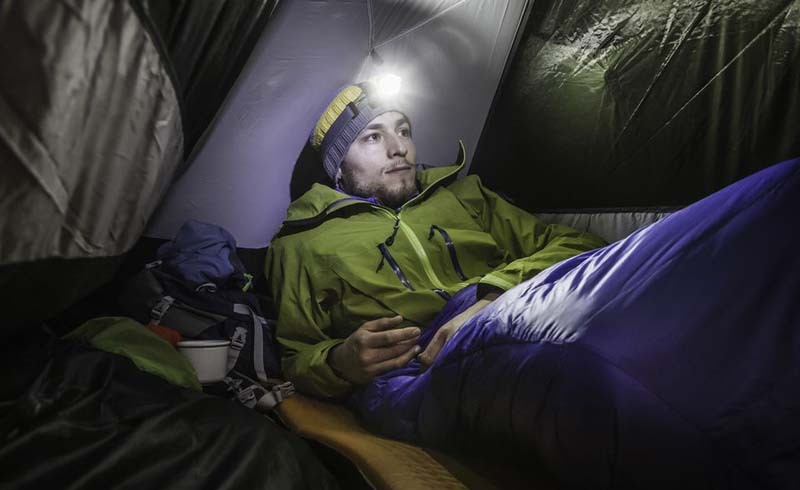 Make sure to select a sleeping bag that is rated for the temperature of your destination or warmer. 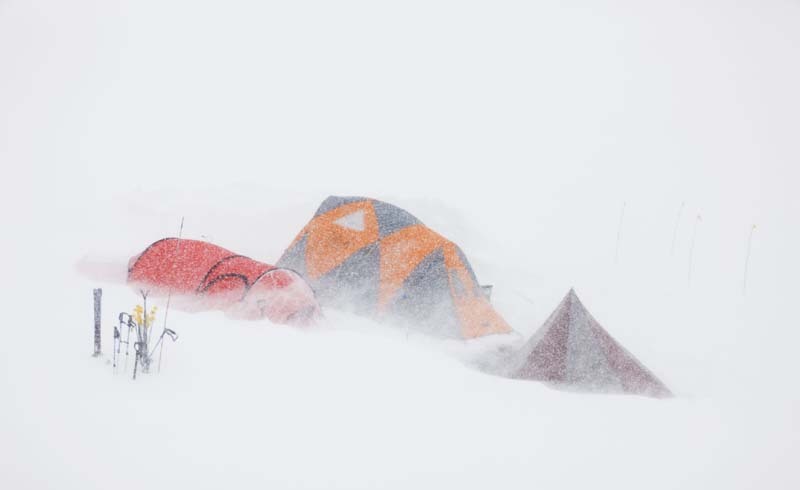 An extra foam pad or down air mattress can help with the cold air coming up from the ground and a 4-season tent is imperative in extreme winter weather conditions. 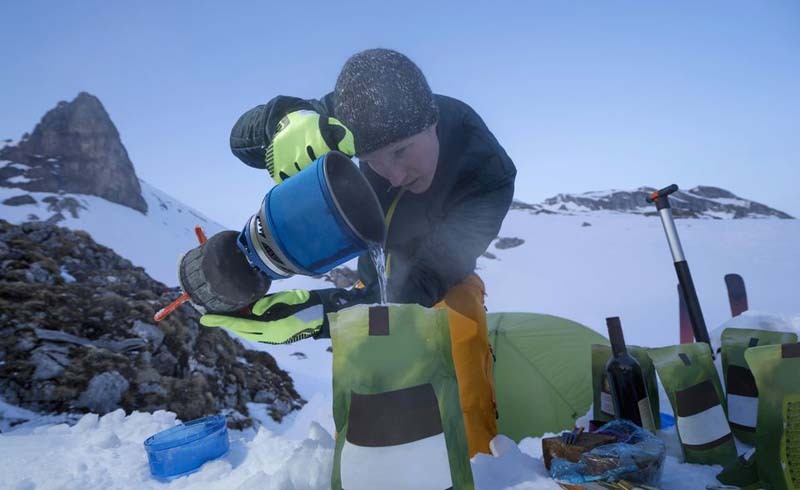 If you are snow camping, consider bringing an extra stove for melting snow into drinking water and be sure to pack extra fuel for your camp stove. 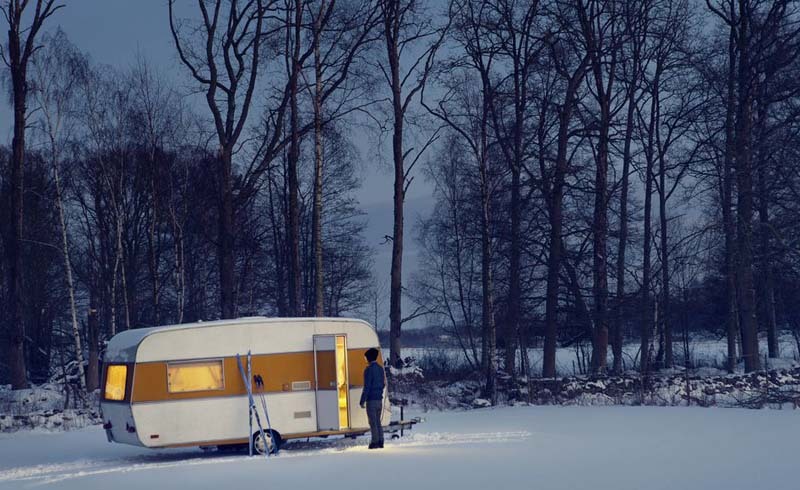 If you are winter camping in an RV, pop-up camper, or trailer, make sure to winterize your camper. Freezing water lines are the biggest concern with recreational vehicles. Consult your user manual for winter RV tips specific for your model. And if your RV has a heater, make sure it is working before you head out. A cold sleeping bag can take some time to warm up with just your body heat, so pre-warming your bag is a nice way to get cozy at night. Boil water and put it in a watertight container. Let the water cool down a little and then double check that the container is completely sealed (a leaky water bottle can be disastrous!). Place the hot water container in your sleeping bag 20 minutes before going to bed. The heat will make getting into bed at night more enjoyable and help maintain your body temperature while sleeping. It can be difficult to find firewood on the ground in the winter. By the time winter rolls around, summer campers have scavenged the forest for wood or the winter storms have made most of the wood too wet to burn. 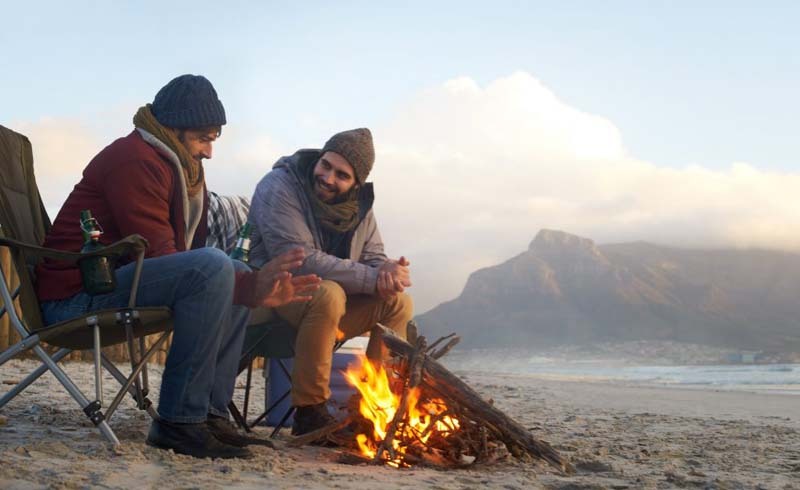 An evening campfire will keep you warm at night and make cooking outside more enjoyable in cold weather. Don't forget the matches in a moisture-proof container. While sandwiches and watermelon are great for summer camping, cold weather requires a heartier meal. Canned soups or stews are great for lunches. And don’t forget to bring plenty of your favorite hot beverages: hot chocolate, coffee, tea or apple cider. The nights are longer in winter, so it's nice to have entertainment at night. 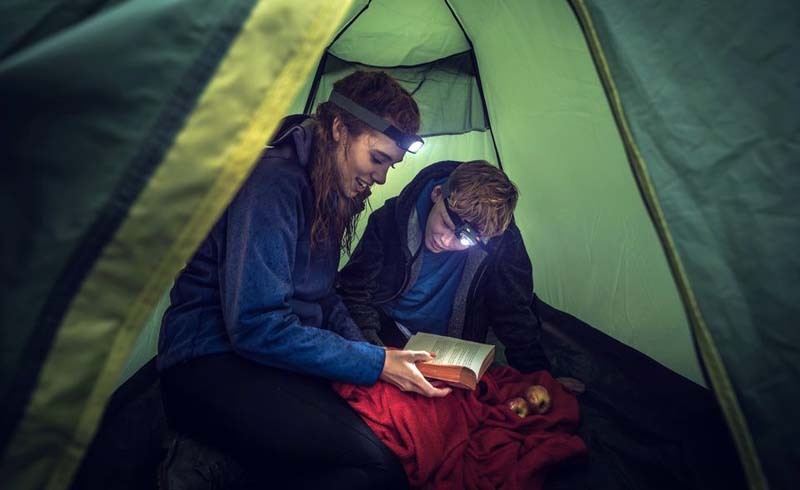 Bring a book to read while in your sleeping bag, or if you are car camping, bring a computer or iPad and watch a movie. If you go to sleep too early, you’ll end up waking before the sun rises.